4 months - really IS black! 22-time CHAMPION! 2-time Judge's Choice! 2 Judge’s Choice Awards and 22 CHAMPIONSHIPS. 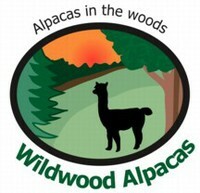 HE THROWS EVERY COLOR INCLUDING APPALOOSA AND HARLEQUIN!!! Ringo Cloud is a phenomenal medium fawn male. High frequency, high amplitude, dense, extremely fine, long staple length is how one would describe this remarkable herd sire. 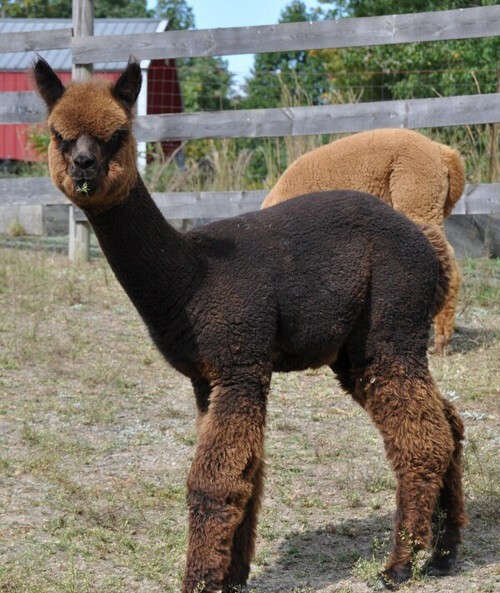 Orion is a true black male with spectacular conformation and a soft, dense fleece. He is a well grown young male out of two multi-champion parents. 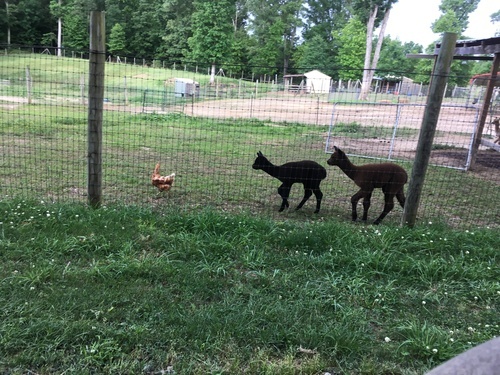 His sire, Ringo Cloud (out of Orlando Cloud) exhibited superior density in his fawn fleece. 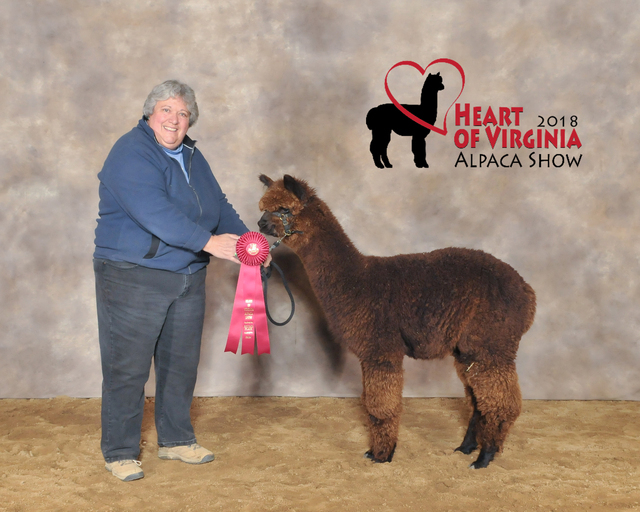 His dam, HRF Peruvian Solstice, is a two time champion herself with a wonderfully soft and dense rose grey fleece. 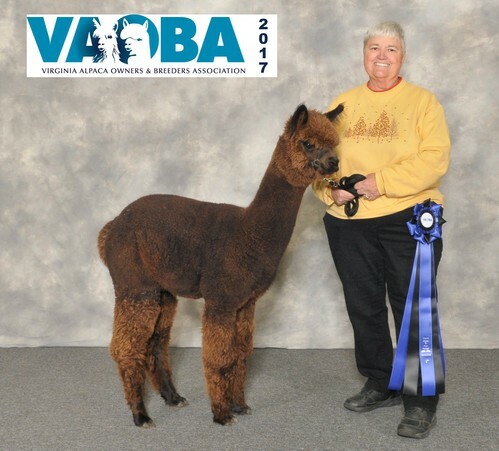 Orion took the blue ribbon at the VAOBA show in November 2017, and took 2nd place at the Heart of Virginia in April 2018. 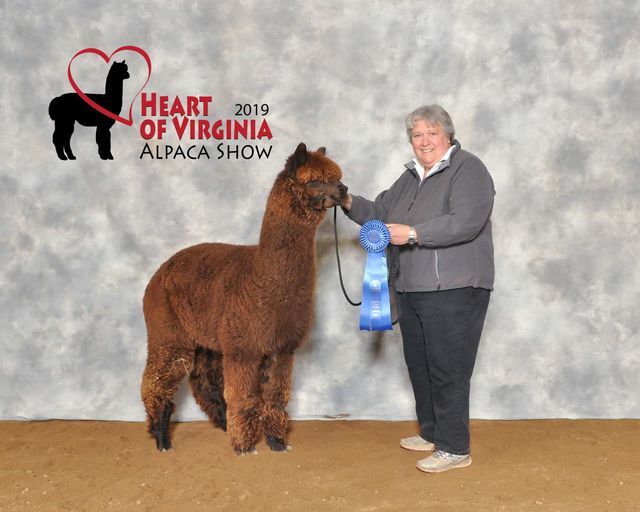 In his second year of fleece growth (as a yearling) Orion is exhibiting a truly impressively long staple and a buttery soft handle. He is a good sized young male and would make a fine addition to any herd.